The World Cup always seems to begin with a bang and has been the stage for some of the biggest shocks in the sport’s history. With the tournament kicking off today, RT Sport looks at some of the biggest slip-ups. Very little was expected of North Korea in the 1966 World Cup in England but, thanks in part to a stunning 1-0 victory against Italy at Ayresome Park, the side comprised of players from the country’s domestic league (many of whom were members of the military) ended up making an unlikely run to the quarter-final stage of the tournament. North Korea became the first team from outside of Europe or the Americas to qualify for the knockout stages of the tournament, a feat which wouldn’t be repeated until Morocco did the same 20 years later. 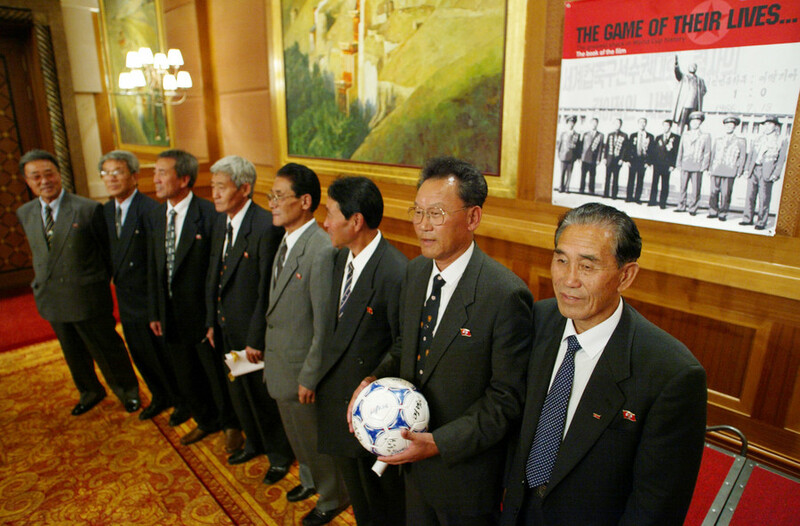 Pak Doo-Ik, the scorer of the game’s only goal, was immediately promoted to the rank of Sergeant in the People’s Army and would later be given the honor of carrying the Olympic torch through Pyongyang in 2008. Defending champions Argentina were expected to make light work of the unfancied African side in their opening engagement at the 1990 World Cup in Italy. 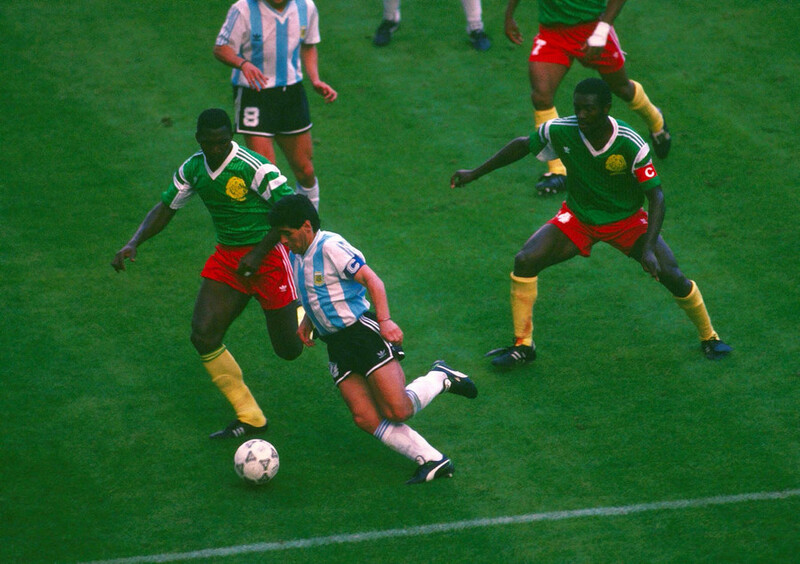 The Argentines, led by the world’s best player Diego Maradona, started brightly on that warm June evening in Milan but would soon be undone by the plucky Cameroonians. Francois Omam-Biyick netted the game’s only goal midway through the second half but what makes the result even more remarkable was they had a player sent off just five minutes before scoring. A further player would see red in the game’s final minute, meaning that one of the World Cup’ biggest ever shocks was completed by a team with just nine men on the field. 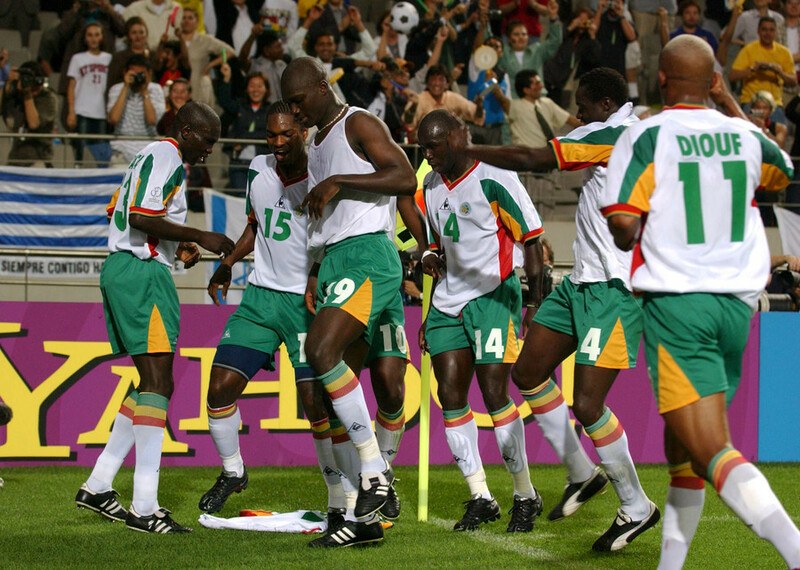 Cameroon, guided by forces of 38-year-old Roger Milla who had been tempted out of retirement at the personal request of the Cameroonian President, finished top of Group B before making a run all the way to the quarter finals where they would be eliminated by England in an extra-time thriller. Like Argentina a few years prior, France entered the 2002 World Cup in South Korea & Japan as champions and were expecting their opening opponents Senegal to be little more than a warm-up ahead of sterner challenges ahead. Instead, shorn of talented players like Zinedine Zidane and Robert Pires, France struggled with the weight of expectation placed upon them by the media and very quickly into their opening match it was obvious that this French side wasn’t the cohesive unit that had won the World Cup on home soil four years prior. A solitary goal from Senegal’s Papa Boupa Diop proved to be the difference between the two sides, with France’s title defense yielding just a solitary point and no goals scored in Group A and they would be forced to return to home with their tails very much between their legs to a French media baying for blood. West German manager Jupp Derwall announced before his side’s World Cup match with Algeria that he would ‘jump on the first train back to Munich’ if his side lost the fixture and with fate very much tempted by that declaration, there was really only one result possible. Algeria bested the star-studded West German side 2-1 but instead of heading straight to the ticket office of the nearest railway station, Derwall placed himself into further infamy for his role in ‘The Disgrace of Gigón’ - where West Germany and Austria allegedly conspired to arrange a 1-0 win for the Germans in the knowledge that the result would send both sides through to the next round.